Concrete Construction of Grain Storage Sheds- Walls and floor. in September 2016, we completed this projcet which showcased the diverse capabilities of Cast-Tech Group. 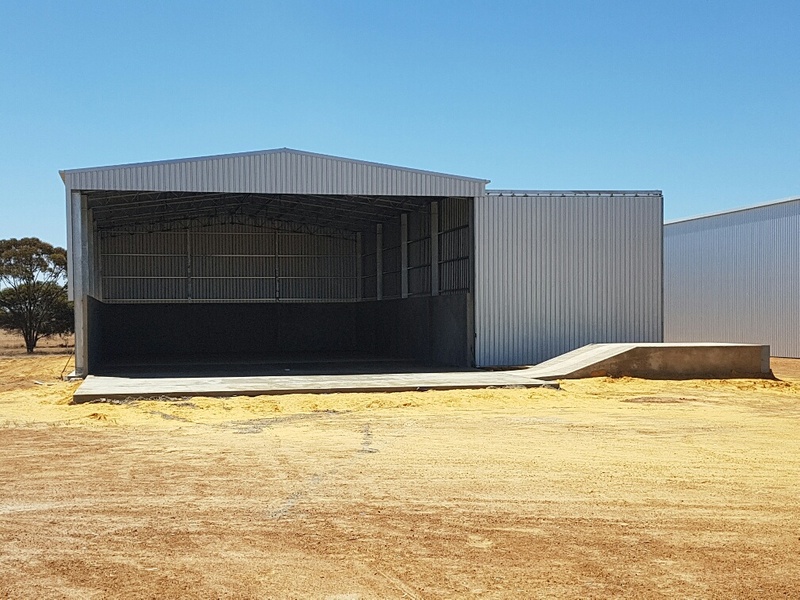 This Grain Storage Shed fitout utilised most of the services we provide our clients. 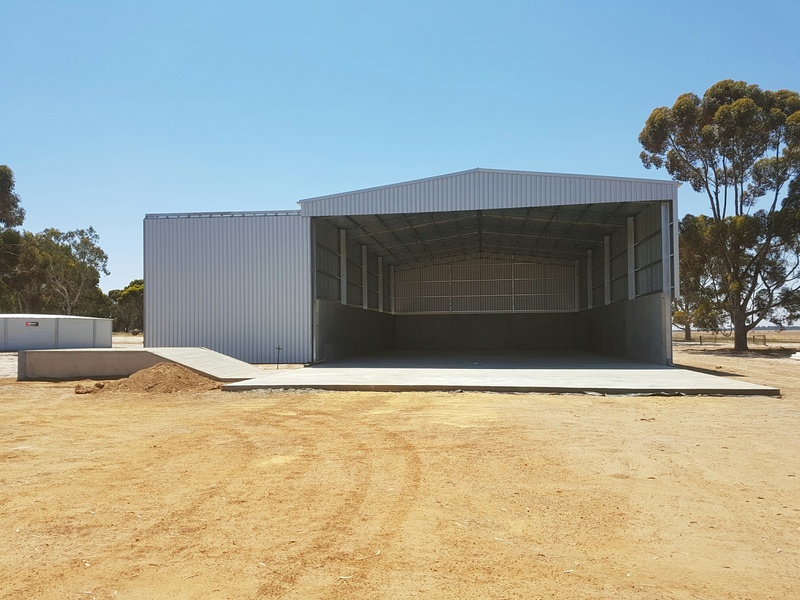 We worked closely with the shed manufacturer to provide the most cost-effective design for their client. 3m high walls were required on this project to maximise storage capacity. The engineered precast concrete panels were cast at our yard in Gnowangerup. Precast is beneficial in panel construction, providing greater efficiencies and control over quality. Our in-house logistics team gave us the flexibility to deliver and install the panels onsite, whilst concurrently mobilising our batching plant to site. Earthworks were then completed, slabs were meshed, poured and finished- all by the Cast-Tech team, and to the satisfaction of our client. Quote from our clients’ Project Manager: “I was onsite yesterday and would like to thank you for the top finish on the concrete- please pass this onto your team”.